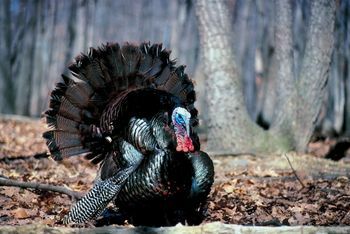 COLUMBIA, S.C. – An estimated 50,000 hunters will take to the woods during the upcoming turkey season, generating an estimated $30 million in direct expenditures for South Carolina’s economy. The 2013 wild turkey season begins April 1 on private lands in 34 counties that make up Game Zones 1-5 and for all Wildlife Management Areas statewide where turkey hunting is allowed. The season opens March 15 on private lands only in Game Zone 6: Allendale, Bamberg, Barnwell, Beaufort, Berkeley, Calhoun, Charleston, Colleton, Dorchester, Hampton, Jasper and Orangeburg counties. The season closes May 1 throughout the state. Saturday, March 30 is Youth Turkey Hunt Day in areas where the season opens on April 1. On this day, youths 17 and under who are accompanied by a properly licensed adult (age 21 and older) may hunt turkeys. Only the youth can take or attempt to take turkeys. Tagging requirements remain in place for this special youth day. The outlook for the 2013 spring season is good for most areas of the state, according to Charles Ruth, Deer and Turkey Project supervisor for the S.C. Department of Natural Resources (DNR). Annually since the early 1980’s, DNR conducts a Summer Turkey Survey to estimate reproduction and recruitment of turkeys in South Carolina. The survey involves agency wildlife biologists, technicians and conservation officers, as well as many volunteers from other natural resource agencies and the general public. Indicators from the survey have been better the last couple of years compared to the previous 6 to 8 years. What does better reproduction mean for the spring turkey hunter? Ruth indicated, “Harvest trends have followed the trends in reproduction in recent years and prior to 2012 we saw a cumulative 30 percent decline in turkey harvest since 2002. However, with better reproduction the last couple of years the harvest responded in 2012 with a substantial increase for the first time in many years. As was the case last year, there should be good carry-over of gobblers available during spring of 2013. However, statewide turkey numbers are still below record levels of ten years ago and it will take ongoing high levels of reproduction to get the population back where it once was,” said Ruth. For more information on wild turkeys including how to order turkey tags online, the 2013 Turkey Regulations, the 2012 Summer Turkey Brood Survey or the results from the 2012 spring gobbler season, check out the DNR website. 2 Responses to "Spring Turkey Season Forecast Good, Youth Day March 30"